Kalaburagi district is a land ruled by the Rashtrakutas, Chalukyas, Bahmanis and lastly by the Nizams. And Kalaburagi city is well known for its beautiful structures erected in the Indo-Saracenic style. One of the eloquent structures built in the early 19th century is a palace of Nizam Mir Osman Ali Khan Bahadur of the Asaf Jahi dynasty, the seventh and the last Nizam who ruled the Hyderabad kingdom from 1911 to 1948 before it acceded to the Indian Union. This palace, located half a kilometre from the city railway station, is called Aiwan-e-Shahi Guest House. He was said to be one of the richest kings of his time. The kingdom minted its own silver and other metallic currency for many years. Due to the shortage of silver, during the First World War, they issued paper currency known as Rupiya Sicca Osmania, named after Mir Osman Ali Khan. After the death of his father Mir Mahbub Ali Khan Bahadur, Mir Osman took over the throne at the age of 25. According to sources, he donated about 5,000 kg gold to the Government of India for National Defence Fund in 1965 when Lal Bahadur Shastri was the prime minister. 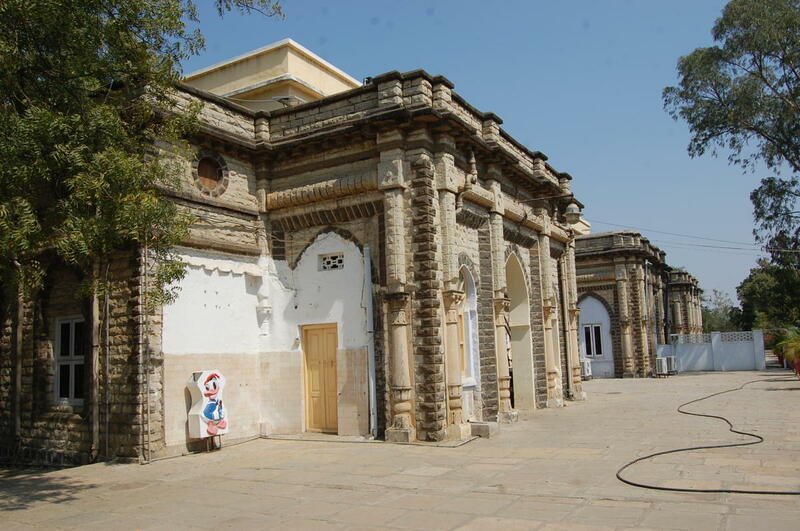 He used to travel by his own train from Hyderabad to Aiwan-e-Shahi palace and for which purpose, a special rail line was laid inside the complex of this palace. The rail line is still found in the palace premises. 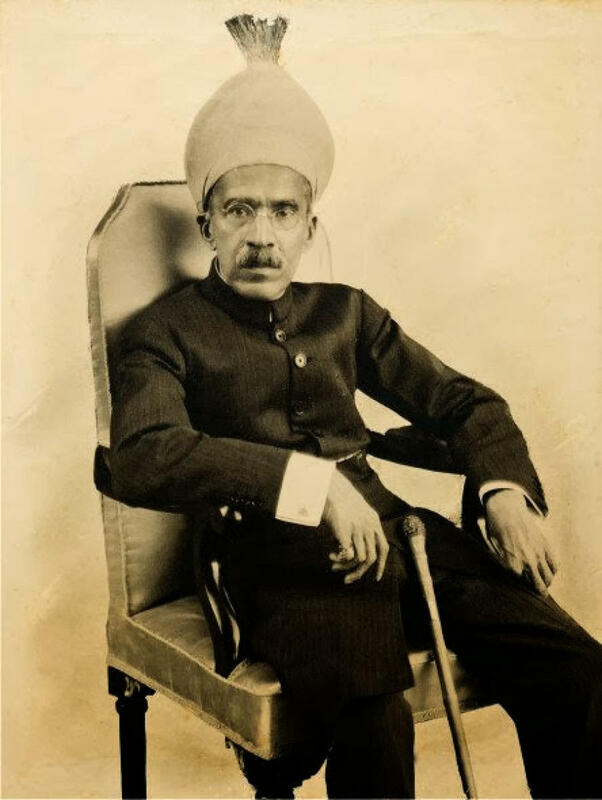 Since Osman Ali Khan patronised art and architecture, many unique structures with extravagant designs were erected during his reign and as a result, he was known as the ‘Architect of modern Hyderabad’. While entering through the main compound entrance of the palace, we can see an open, arched hall on the left. This hall, known as Diwan-e-Aam or Sama Khana, was meant for the common people as a waiting hall. The hall served as a meeting place where citizens could make their requests to the king. The buildings constructed during his rule portray rich and imposing architecture, a synthesis of medieval and modern styles. The palace is constructed in a unique style by using local white stone collected from the quarry in the surrounding area popularly known as Shahabad stone and arches are a combination of black and grey stones collected from the area. The structure stands on white heavy stone slabs with a rough surface. However, the inner surface is flattened with stucco plaster (a paste prepared with limestone). The roof slab stands on heavy iron solid rods about 20 feet high. Due to its height, cross ventilation keeps the interiors cool throughout the year. Especially in summer, we can see that the building maintains a minimum temperature. The structures in the front view imbibe the Gothic style of architecture. The side walls, constructed in a zigzag manner, have beautiful windows and ventilators. With tall wooden doors, this building consists of restrooms, kitchen, royal-touch bathrooms, and a huge hall for guests, and Diwan-e-Khas, a public hall where the king met the people. The finest wooden furniture displayed inside the palace speaks of the craftsmanship and skill of the period. Apart from the palace, the surrounding area is adorned with a very beautiful garden with different species of plants and flowers. 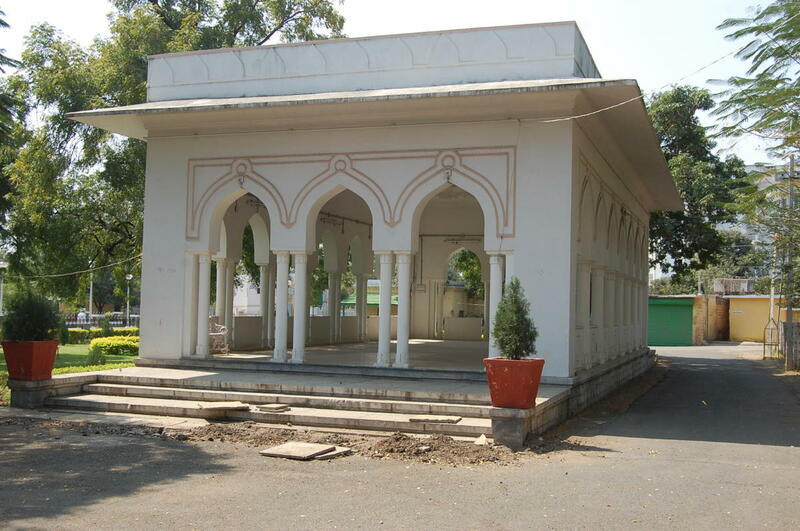 Other attractive places built on similar architectural style are the entrance gate of Vikas Bhavan, Tahsildar office, Zilla Panchayat office and one of the entrances of Mehboob Gushan garden in the heart of the city. 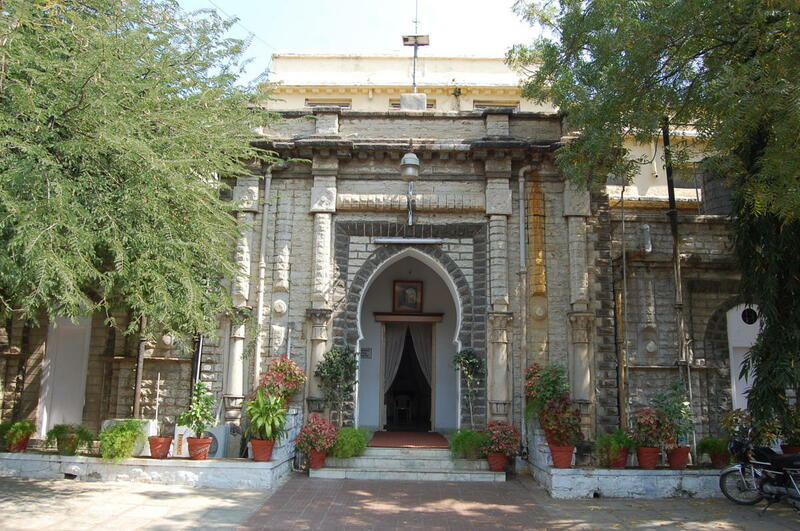 Several houses belonging to Deshpande, Deshmukh, Maali Patel, Police Patel and Kulkarni (official titles are given by the Nizam) families also exhibit a similar architectural pattern or style. The titles ‘Patil’ for Lingayats and ‘Patel’ for Muslims continue in the region as surnames even today. Understanding the need for public spaces like parks, lakes, town hall and gardens in the city, the Nizam government sanctioned a slew of construction projects. They include Mehboob Gulshan garden and Mehboob Sagar (now called Sharanabasaveshwar Lake) located in the centre of the city. The king also established a filter bed which supplies clean water to various localities in the city. The system is functional even to this day. He also established the biggest cloth mill called as MSK Mills from where the cloth was supplied not only to India but to abroad as well. While his contribution in the field of education and transport are hailed, he is also credited with renovating several Buddhist, Jain, Chalukyan and Bahmani monuments. Karnataka region is still used as a guest house. It can either be converted into a museum or be included in the list of the protected monuments by the State Archaeology Department or the Archaeological Survey of India so that the visitors can visit and enjoy the palace of the last ruler of this region.